The 10 Best Steakhouses in West Virginia! Those of us who identify as more of carnivores would argue that there is nothing better than a sizzling steak cooked to perfection. Steak has been around since the days of the cowboys herding cattle to market, and there’s no comparison with other meat choices.Guys and gals love steak, whether it’s rare, medium, or well-done. Some like their steak covered with onions or mushrooms or just served with au jus. Whether you like your steak pink on the inside or branded with a seared, crunchy crust on the outside, you can review the 10 best steakhouses in West Virginia below and find your favorite steak and dining experience. Grilled to perfection, you’ll be challenged to find steaks made better anywhere in the area than at Wonder Bar Steakhouse in Clarksburg, West Virginia. Opened in 1946, this award-winning restaurant offers a premier dining experience with the stunning balcony overview and first-class treatment. Inside, there are several private dining areas for special parties, a wine cellar, and a beautifully decorated main dining area. The restaurant has special dinging events like the Tour de France Wine Dinner, a six-course dinner featuring wines from France, and they support the West Virginia Food & Farm Coalition, bringing farm-fresh local food to the table. Wonderful atmosphere, impeccable service, superior food. That’s what you’ll find at The Chop House in Charleston, West Virginia. Don’t let the name fool you. From the moment you enter through the doors of the beautifully decorated dining area to the time you leave, you’ll feel like you’ve been pampered. The helpful and knowledgeable servers will offer menu suggestions like one of the USDA prime beef steaks like the Espresso-rubbed filet mignon, a premium seafood dish like the miso-glazed Chilean sea bass, or a house specialty, roasted rack of venison, paired with just the right wine. You can end your evening with one of their in-house decadent desserts. Surrounded by elegance inside and outside, Montmartre in Morgantown, West Virginia, is a premier dining destination. Complete with a main dining area, the restaurant also has a Grand Ballroom which is large enough for any event such as a rehearsal dinner or wedding reception. If you love steak, you will find Montmartre satisfying and worth the price. Inspired by the flavors and cooking styles of France, Laury’s Restaurant in Charleston, West Virginia, will not disappoint. From the time the restaurant opened its doors in 1979 until now, this elegant fine dining establishment has been providing excellent food in a relaxed atmosphere. Located in an old railroad depot and on the National Register of Historic Places, Laury’s Restaurant is committed to offering only the best in fine steaks, seafood, pasta, salad, appetizers, and desserts. Using a special Japanese-style of cooking known as hibachi, Fusion Japanese Steakhouse in West Virginia, reaches new dimensions for flavor, quality, and excellent service. The restaurant has a full menu and sushi bar, and will give you a memorable experience that you’ll talk about for a long time. Ask about their free birthday or anniversary dinner. You never know what to expect at Boyd’s Steakhouse in Martinsburg, West Virginia, but you can depend on great food, friendly service, and fair prices. From historically charming atmosphere featuring Al Capone to the carriage rides during the holiday season to the Sunday brunch served weekly, customers consistently come back for more because of their memorable dining experience. For the meat lover in your family, try the perfectly cooked filet mignon, but vegetarians aren’t left out, even though this is a premier steakhouse with the Shephitarian Pie, made of mashed potatoes, smoked gouda cheese, and vegetables. And the chocolate cheesecake is to die for! For over 50 years, The Char in Beckley, West Virginia, has been offering great steaks, seafood, and other menu items to the public. This is an upscale restaurant with a downhome feel. Let the valet park your car and be seated overlooking the scenery as you look at the menu and decide from an extensive list of appetizers, salads, entrees, and wines. You might start with the escargot with garlic bread and move to a 16-ounce ribeye with salad and choice of sugar snap peas, baked potato, spicy black beans, or pasta. 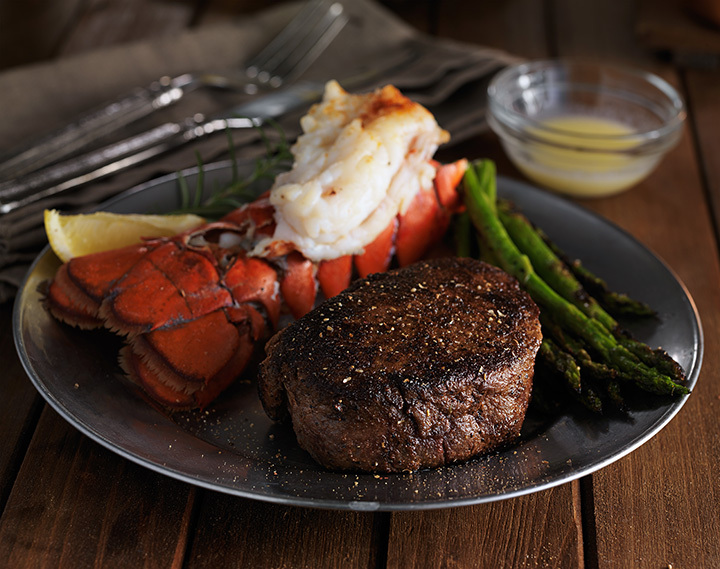 If steak isn’t what you crave, try one of their Italian specialties or a seafood entrée. Save room for dessert, though. One of the Mountain State’s top restaurants consistently since its opening in 1946, Duke’s Steakhouse in Elkins, West Virginia,offer fabulous food Monday through Saturday. They have cook-to-order filet mignon steaks from 4 ounces to 11 ounces and sirloin dinners for one or to share. Each meal is served with a salad, garlic bread, and choice of side. Duke’s is available for catering and they have gift certificates. Located in the historic Greenbrier Resort in White Sulphur Springs, West Virginia, Prime 44 West was named in honor of that state’s legendary NBA coach, Jerry West. This is not your typical steakhouse and business jackets are highly suggested and no hats are allowed. Friday night specials include expertly cooked-to-order king or queen cut prime rib with Yorkshire pudding, Bercy butter, and cabernet beef jus. Reservations are a must. You wouldn’t expect to taste the flavor of the steaks at a little Irish pub like Sixpence Pub and Eatery in Parkersburg, West Virginia, but you would be surprised. This little pub is a hidden gem and hosts live music and other entertainment including karaoke and drinking contests. Plenty of cold beer and the best steaks around wait for you here at Sixpence.